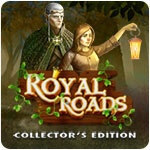 Royal Roads - Collector's Edition Game - Download and Play Free Version! Return the missing princess! 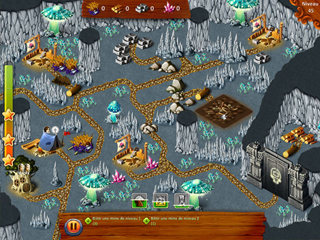 As you experience an exciting journey through a fairytale kingdom. There once was a princess named Layna in a magical kingdom. Unable to take the throne before coming of age, her advisors first held the reigns while she spent her days in worry-free bliss. Layna was looking forward to her coronation more than anything. When it finally came, she knew her dream had come true. But suddenly, the celebration was cut short by an old witch. The uninvited guest announced that the kingdom hadn't waited all those years for an heir like her, and with the flick of her wrist a bright light blinded the royal hall. Layna closed her eyes, and when she opened them, she found herself in a haystack on a run-down farm. What happened that day in the throne room, and why can't anyone remember the princess? 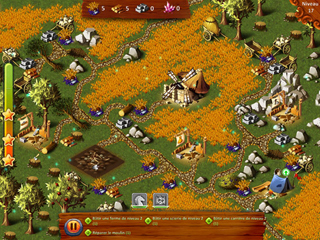 Layna goes on a journey to find the evil witch. Will she succeed in breaking the cruel spell, or be forever forgotten?! Travel together with the princess, savor the beauty of her magical kingdom, make new friends and overcome obstacles together to reach the coveted goal!